Buy this Sky Fall Victorian Handknotted Wool Area Rug at very resonable range. Beautiful color combination of sky blue and cream color. It will give a calm touch it will be placed once. The ground of the carpet is in cream color. Beautifully handcrafted this pure wool hand-knotted carpet on a handloom using the pure New Zealand wool and Bamboo silk mix for the weft on the cotton foundation. 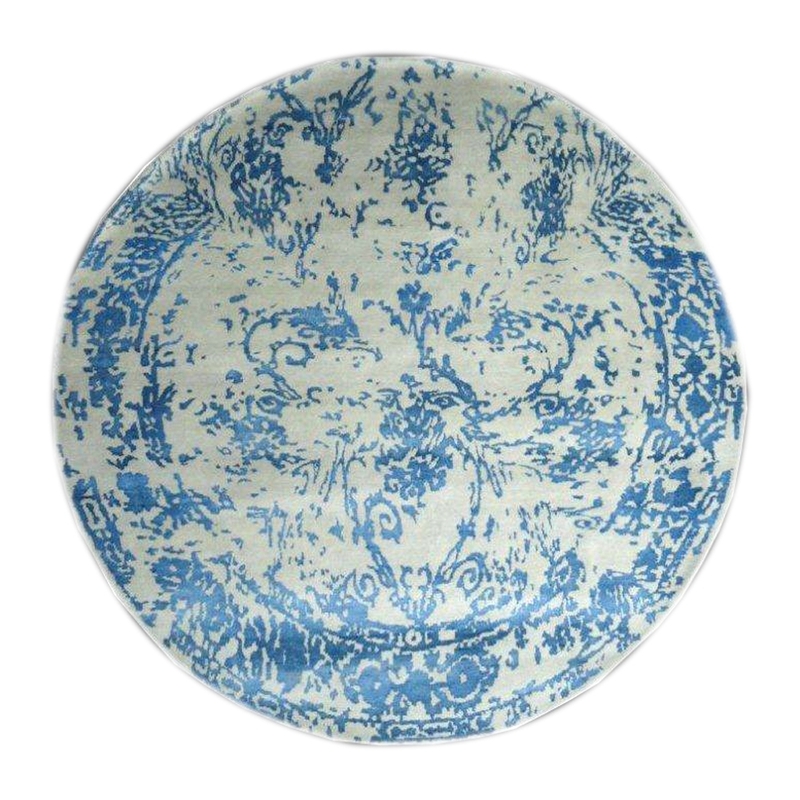 The ground of this product is in Cream color and contains defined floral pattern in blue color. This carpet is 100% ideal for the modern home decor. It has a beautiful border and you can use it for the living room.